The Rapunzel Wedding Gown costume includes a deluxe dress, petticoat and tiara with attached veil. 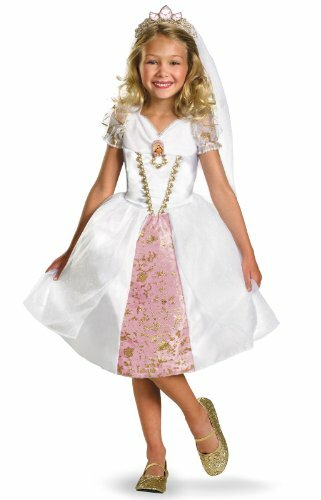 This Rapunzel Wedding Gown comes in child sizes Medium, X-Small, Small. This Rapunzel Wedding Gown is an officially licensed Disney Princess costume.